So you’ve finally found a wedding dress or tuxedo, but it doesn’t fit. Don’t worry! After all, people usually need alterations for their formal wear. In the event that you too need alterations, there is undoubtedly a Portland tailor or seamstress especially for you. Because your gown or tux is, of course, one of the most important parts of your wedding, it needs to be perfect! Portland tailors not only have experience but also talent. Alterations frequently require attention to detail, particularly with vintage attire. Since Portland has so many experts, it’s generally easy to find one near you. So whether you just need hemming, or your garment is too loose or too tight in the middle, it’s no problem! Portland has it all; not only basic alteration service but also artists that will take a boring tux or gown and make it undeniably and uniquely you! Whether you want a modern, classic, or vintage look, you can find it here without a doubt! We also have options for every budget. Regardless of price range, there’s surely a tailor or seamstress for you. Even if you want alterations done quickly, our tailors will go above and beyond to return them straight away. Of course, there’s post-wedding service too. In addition to alterations, we also know cleaning and proper storage are equally important. Since your attire usually gets dirty at a wedding, you’ll unquestionably need a dry cleaner afterward. Even though your garment is stained, it can certainly be cleaned and restored so that it looks like new. Regardless of what happens during your wedding, our experts will make your formal wear look as great afterward as it did before. So whether you’re looking for alterations, cleaning, or gown preservation, we’ll help! Your perfect tailor is only a click away! 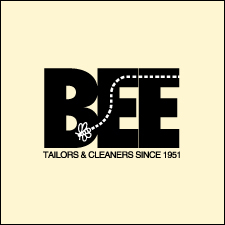 Founded in 1951, Bee Cleaners has serviced the Portland area by providing a level of quality above that of the competition. This superior quality and no-nonsense approach to customer service is the key component of our mission statement. We offer bridal gown pressing and preservation, alterations, dry cleaning, shirt services, and pickup and delivery.